Unlike art skill classes, our series of art for wellbeing workshops aim to promote self-exploration and self-expression via different kinds of art and mindfulness activities. No previous art training is required. 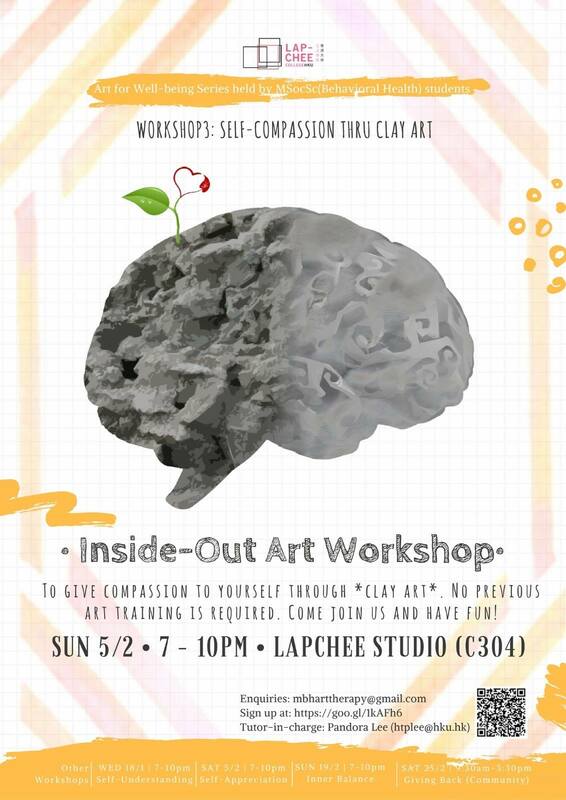 Come join us and immerse in the creative process! You may sign up more than one workshops (the more the merrier!). For successful applicants, we will send confirmation emails before the actual date.